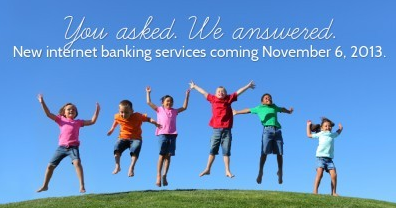 United Southern Bank is very excited to announce that we will soon have a new internet banking service. The new site will offer all of the same functionality you have been accustomed to while introducing new features too! We are thrilled to offer our customers the latest in internet banking technology. Your username does not have to change. All transaction history will remain. All current Bill Pay payments will remain. In the next few weeks, you will be receiving another email and letter, giving instructions on how to login to the new internet banking site for the first time. Money management – So you can keep all of your accounts at multiple institutions on one easy to read balance sheet. External transfers to and from other banks. Automatic updates – When you open new accounts. Again, United Southern Bank is proud to offer a new and exciting change in our internet banking service. The new service will be available on November 6, 2013. Thank you for your business and support in this change. Should you have any questions or concerns, please feel free to contact us.